Test run of a radio show I did with my longtime buddy Charlie Nobile. It’s Round Three of this tussle between these two bitter rivals. The Jets handed the Patriots their first loss of the season in week two 28-14. In a much anticipated week 13 Monday Night confrontation, the Patriots embarrassed the Jets 45-3 in Foxborough. The Jets continue to squawk, and the Patriots continue to keep to themselves as we are now just hours away from kickoff. Bill Belichick keeps finding talent in the draft. 27th overall pick Devin McCourty is a Pro-Bowler as a rookie. He possesses very good ball skills and finished the NFL with seven interceptions. Like McCourty, the rest of the secondary is rather young and feisty, especially safeties Brandon Meriweather and Patrick Chung. The Patriots are 30th in pass defense, but that statistic doesn’t tell the whole story. Their opponents have to throw the ball because they’re always behind. Against a young secondary, let’s see if veteran Jet wide receivers Santonio Holmes and Braylon Edwards can expose their youth. Also, will Jets quarterback Mark Sanchez be able to lead New York back in the game if they fall down early. The Jets are a power, smash mouth running team with two solid running backs in Shonn Greene and LaDainian Tomlinson. Greene has gotten the bulk of the carries down the stretch, but this is postseason play. The Jets have to do what they did last week against Indianapolis, limit the possessions and keep Patriots quarterback Tom Brady off the field. The Jets had 169 yards on the ground last week on 38 carries. The inside linebacker tandem of Brandon Spikes and Jerod Mayo are great downhill players. Vince Wilfork continues to play at an All-Pro level at nose tackle. 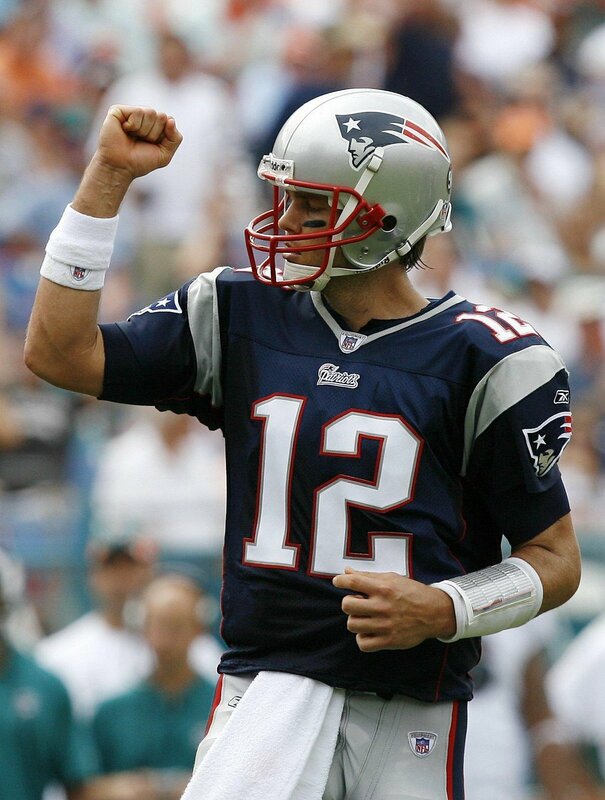 Tom Brady is so good at slowly matriculating the football down the field. He finds the one on one matchups and gets the open receiver the football. Each of New England’s receivers bring something different to the table. Wide receivers Wes Welker and Julian Edelman are great in the screen game. They make people miss in space. Aaron Hernandez and Rob Gronkowski are a fine pair of rookie tight ends. Gronkowski is great in the red-zone, while Hernandez is a guy who moves the sticks on third downs. Deion Branch does a little bit of everything and Brandon Tate is strictly a vertical threat. The depth of the Jets secondary will be tested. Darrelle Revis is the best secondary in the league, and Antonio Cromartie is a decent starter, but the Patriots have so many weapons. Kyle Wilson, Dwight Coleman, Brodney Pool and Eric Smith must be excellent. Yes, the Jets have to blitz Brady relentlessly, but he gets rid of the ball so quickly that it can be tough to get to him. New England runs the ball strictly to keep the defenses honest. The Patriots can be tricky. They’ll line running back Danny Woodhead as a receiver and then bring him into the backfield and run the ball. He was cut by the Jets on September 14th. The Patriots offensive line gets good push up front. Their screen game is a de facto running game. We know how good the Jets are against the run. It’ll be closer than the week 13 game in Foxborough, but I just don’t see Mark Sanchez being able to get the job done in the fourth quarter when he’ll be needed most. Baltimore looked like the best team out of the Wild-Card Weekend games. They went to Arrowhead and romped Kansas City 30-7 last week. These teams played each other in the postseason in the 2008 AFC Championship Game. Pittsburgh won 23-14. The Steelers have won five of the last seven meetings. If you’re Baltimore, you’re targeting a 3-yard per carry average per carry against the best run defense not only this year, but the past decade. Rice is most dangerous in the passing game, with 556 receiving yards. The Steelers need to eliminate Rice in the passing game. Rice is very shifty in space. This is where Troy Polamalu‘s amazing open field attacking ability comes into play. This is the where the game will be won in my opinion. Head coach John Harbaugh finally let his third-year quarterback loose. Joe Flacco threw the ball 35 times, completing 24 for 265 yards and two touchdowns. The Ravens use an underneath passing with tight end Todd Heap and wide receiver Anquan Boldin. James Harrison and LaMarr Woodley form the best pair of 3-4 outside linebackers. Left tackle Michael Oher and Right tackle Marshall Yanda need to play well against their pass rush. Haloti Ngata, a 3-4 right defensive end, is unblockable in one-on-one matchups. The Ravens structure fronts in order to let Ngata get on an opposing blocker one-on one. Just like I stated about, the Steelers are looking for 3-yards per carry against a tough defensive front. The question here is can Pittsburgh get enough protection for Ben Roethlisberger. The Miami (OH) standout does avoid the rush well, but in the two meetings this year, Terrell Suggs and company were constantly in Pittsburgh’s backfield. Mike Wallace is key in the wide receiver screen game. He has the ability to take any screen to the house by his ability to make people miss in space. He’s one of the top five fastest players in the NFL in my opinion. You know it’s going to be close, and it’s almost unfair to make a pick, but I like Baltimore quarterbacks Joe Flacco’s cool demeanor in the clutch, but Roethlisberger isn’t shabby himself. Will either Polamalu or Reed make game-changing plays that they’re accustomed to doing? Just to throw it out there, this will be the game where Joe Flacco becomes a star. This will be a franchise defining win if the Ravens can pull this one out. The Chiefs are in the postseason for the first time since 2006; It’s the first time that San Diego did not win the AFC West for four years. The game will be played in the legendary Arrowhead stadium where the crowd is always in a frenzy. Kansas City is 7-1 at home this season. That lone defeat came last weekend against Oakland. The Ravens have won on the road the previous two Wild-Card rounds. They took care of Miami in the 2008, and New England last year. The Ravens have had a bit of a down year running the football. They’ve let Flacco loose a bit more this season, so the backs are seeing less carries. But, the Ravens have won their last two wild-card games because of their ability to pound the rock. Against Miami, the Ravens carried the ball 33 times for a 151 yards. Last year against New England, Baltimore ran the ball an astonishing 52 times for 234 yards. Ray Rice alone had 159 yards in 22 carries and two scores. Joe Flacco threw the ball just 10 times, amazing. The Chiefs are vulnerable against the run, despite the ranking. They’ve allowed 160 or more yards in three of their last five games. Defensive tackle Glenn Dorsey and inside linebacker Derrick Johnson are stout against the run. The x-factor in this game is strong safety Eric Berry. He’ll be the eighth man in the box. Anquan Boldin has been a fine addition in the receiving core; but the story this year is the continuing maturation of Joe Flacco. He throws arguably the best deep out in the game. Most of those lasers were caught by Derrick Mason. Tight end Todd Heap is a nice vertical target. Flacco’s most underrated quality is his ability to move the chains on third downs. A key match-up in this one will be outside linebacker Tamba Hali vs left tackle Michael Oher. Hali led the AFC in sacks with 14.5. Kansas City has a very young secondary led by cornerback Brandon Flowers. Berry would win the Defensive Rookie of the Year award if it wasn’t for Ndamukong Suh. Berry’s very versatile, he can blitz, tackle and play the pass well. This is your ball game right here. The running tandem of Thomas Jones and Jamal Charles have complemented each other well. Jones is the inside bruising runner, while Charles is the speedy home-run threat. Charles averaged a NFL leading whopping 6.4 yards a carry. 3-4 right defensive end Haloti Ngata will be matched up with Chief right guard Brian Waters. The winner of this individual match-up will be why or why not the Chiefs can get their running game going. Oh, and Ray Lewis can still tackle. The Chiefs passing average is misleading because they run the ball so much. Quarterback Matt Cassel has been tremendously proficient in the passing game. He hasn’t made many mistakes. Kansas City wide receiver Dwayne Bowe broke out. He led the NFL with 15 touchdown receptions. 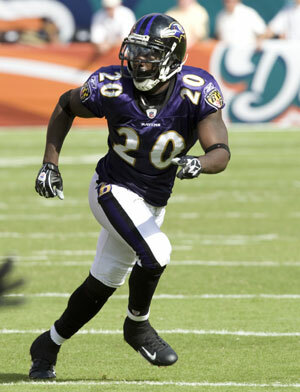 Ravens safety Ed Reed is the best a baiting a quarterback to throw an interception. We’ll see if Cassel will fall into any of Reed’s traps. Reed led the NFL with eight interceptions, despite missing the first six weeks of the season due to injury. I think the Baltimore rush defense will do quite well against the Kansas City rushing attack. We’ll see how Baltimore attacks Charles out on the edges. I believe the Ravens will be able to run the ball themselves, and win the game. Ray Rice’s feet and hands will help Baltimore prevail. Joe Flacco will manage the game and not turn the ball over. With the win over Tennessee last Sunday, the Colts solidified their ninth consecutive playoff appearance. Yes, it was a down year. Yes, there were a lot of injuries. But, yes, they are back in the postseason once again after winning their final four games. Surprise, surprise. Back in 2006, Indianapolis won the Super Bowl as a three seed. Déjà vu perhaps? The Jets come in reeling with two very lackluster showings down the stretch. They got blown out by New England, and lost a head-scratcher at home to Miami. Which Jets team will show up in Indy? This may be a rematch of last year’s AFC Championship game, in which the Colts won 30-17, but the complexion has changed. Indianapolis doesn’t have some of their main weapons including tight end Dallas Clark and wide receiver Austin Collie. 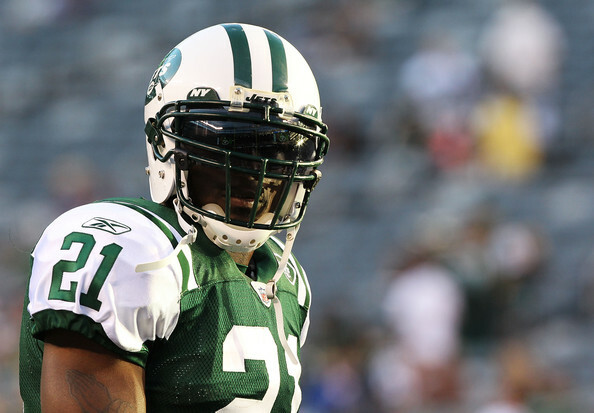 The Jets brought in key components such as cornerback Antonio Cromartie, wide receiver Santonio Holmes and running back Ladainian Tomlinson. Let’s look at the matchups. It’s quite simple for the Jets quarterback Mark Sanchez; don’t turn the ball over. Of course on third down passing situations he’s going to have to take some chances; because of the other field general standing on the opposite sideline. You don’t want to give Peyton the ball. Santonio Holmes and Dustin Keller have made the big catches for the Jets this season. 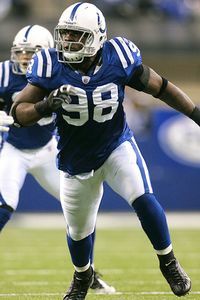 The Colts have the best pair of defensive ends in football in Dwight Freeney and Robert Mathis. Once again both are Pro-Bowl selections. Mathis recorded 11 sacks while Freeney spun his way for 10. Jet tackles D’Brickashaw Fergusen and especially Wayne Hunter. Hunter is going to need some help with Mathis. Obviously this has been the Achilles heel for the Colts all decade long; but it seems like they always stop the run when it matters. Look at 2006 for instance. Historically, they’ve always played better defense at home. The Colts improvement defending against the run was a key contributor to their four game winning streak to close the season. The Jets though are a different animal. They’re a power, smash mouth football team with two solid running backs in Shonn Greene and Ladainian Tomlinson. Greene has gotten the bulk of the carries down the stretch, but this is postseason play. My prediction is that LT will get about 65-70% of the carries. So we know that Reggie Wayne will be taken out of the game by Darrelle Revis. This is what makes Peyton Manning so good. Just look at the day Pierre Garcon had in the AFC Championship Game last year, 11 receptions 151 yards and a touchdown, not too shabby. This means Blair White, Austin Collie’s replacement, will be target a bunch as well. Collie caught seven balls for 123 yards and a touchdown in last year’s game. Tight end Dallas Clark will be missed. If there is an area of concern on the Jets this year defending the pass, it’s how they cover opposing tight ends. We’ll see what Jacob Tamme does. The Jets safety tandem of Brodney Pool and Eric Smith play a bit soft, they can get beaten deep down the field. I’m curious to see how many times Peyton will try to exploit that. Manning should have time to throw, the Jets pass rush isn’t quite all that impressive. In last year’s game Manning went 26-for-39 for 377 yards and three touchdowns. 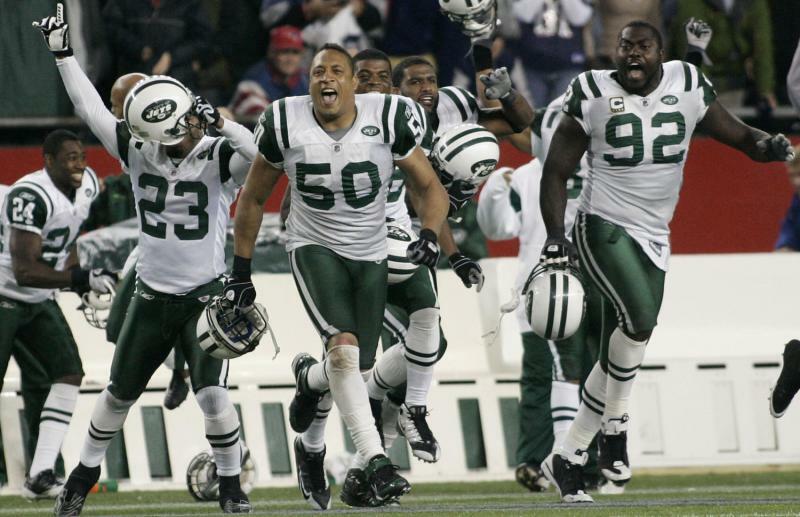 In 2009, the Jets defense allowed eight passing touchdowns. This season, they’ve given up 24. The Colts are clearly outmatched in this facet of the game. Sione Pouha has done a tremendous job filling in at nose tackle for Kris Jenkins. Inside linebackers Bart Scott and David Harris lay the lumber. Joseph Addai is finally back for Indy, and that makes a huge difference. The Colts have run the ball much better in their final four contests. You have to run the ball once in a while if you’re Indianapolis to keep the New York defense honest. In all honesty, I think both teams have regressed from last season. Even though the Jets have two more wins. Two things if the Jets are going to win. One they have to run the ball effectively to shorten the game, and two, can Mark Sanchez make the completions in the fourth quarter. Ultimately, I believe Peyton Manning will play well and the Colts will move on to Pittsburgh.